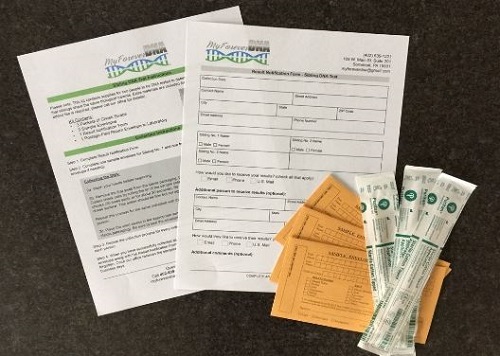 My Forever Sibling DNA Test Kit Review - Is It Worth It? Why Take The MyForever Sibling DNA Test? Do You Want To Learn More About the My Forever Sibling DNA Test? In this detailed review, I will review the best and worst features of The My Forever DNA Sibling test. The MyForever test kit helps you determine whether you are full siblings, half siblings or not related at all with another individual. To learn more about this test and find out whether it is the right test for you, keep reading. You share 99.9% of your DNA with your sibling as well as billions of other people in the world. To determine whether you share the same parents with someone, the lab tests DNA markers in the remaining 0.1% of your DNA. My Forever DNA tests 46 markers, which is more than double what many other DNA companies test. This greatly increases testing accuracy. Once you order the test, they’ll send you a sampling kit with instructions on how to take a proper cheek swab. Package the sample as instructed and send it back with the prepaid envelope. Once the sample arrives at their lab, you’ll receive results in your email in 2-3 days. What I like most about this test is the level of accuracy. As I mentioned, they test 46 markers. Most other sibling DNA tests compare just 16 or 21 markers. The problem with testing such few markers is the frequency of inconclusive results. A report telling you that someone may or may not be your sibling is not helpful at all. What you are looking for is a yes or no answer with some explanation. That’s what this test provides. By testing 46 markers, the chances of inconclusive results are low. Of course, there is still a possibility of a ‘maybe’ result but it’s rare. So if you are looking for a reliable sibling DNA test, this is one of the best. A big advantage of ordering from My Forever DNA is that they make it so easy to buy kits for siblings who are living miles away from each other. 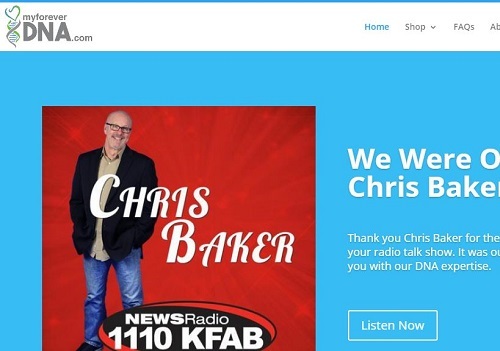 Once you order the kit on Amazon, just contact their office (the number is 402-639-1221) and provide the names and addresses for each individual. Don’t worry about the kits getting mixed up. They assign a unique ID for the kits to ensure they are matched up at the lab. If you live in the same location, you can just enter a single address during checkout. Your My Forever Siblingship DNA test kit will arrive via mail with everything you need to take a sample. Make sure you read the included instructions before you begin. The cheek swab is easy, quick and painless to take. It’s also great for those who might have trouble spitting because of age or some other factor. Put the sample in the prepaid envelope, seal it and mail it the lab. Your results will arrive in the mail 2-3 business days after the lab has received your sample. In a few cases when the lab is busy, it could take a couple of weeks. The test results will be sent to your email address. You can also opt to receive them via snail mail though that will obviously take longer. The results will confirm your sibling status with someone. They will tell you whether you are full siblings (you share both parents), half siblings (you only share one parent) or you are unrelated. The report includes clear explanations for the results. They even show you which DNA markers you share. Note that this report is just for informational purposes. My Forever DNA makes clear that it will not hold up in court. If you want legally binding results, they have one on their website though it’s more expensive and can only be taken in-person at their offices. Their excellent customer service. They are ready to answer any questions you might have about the test and your results. The clear instructions included in the sampling kit. 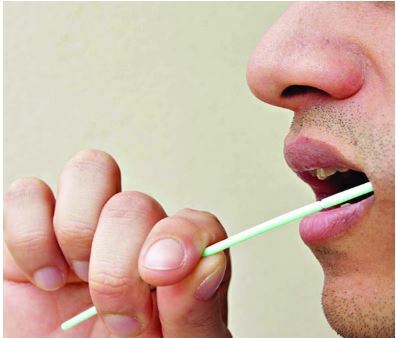 Even if you’ve never taken a cheek swab, you’ll get it right the first time. Quick turnaround. We received results in just a few days. If it has been more than two weeks since you sent back the sample, contact customer support. Clear and detailed results that are easy for anyone to understand. The fact that you cannot use the results in any legal proceedings. It’s understandable but it is still frustrating that you have to take a separate and more expensive test if you want legally binding results. My Forever Sibling DNA test is one of the best and most reliable tests for confirming whether you are siblings with someone. The company makes it super easy and convenient to order a kit, take a sample, send it back and receive results.